Anne Francis Scott, 9780999845110, 392pp. After reeling from the backlash of decades-old murders, the residents of Dawson Mills, Tennessee are more than ready to put the nightmare behind them. But Toni Harper, a reporter for the local paper, knows the trouble is just beginning. When the bodies of two men are found at the edge of the woods, their faces impossibly twisted, and mouths wide open on a scream, she believes the sheriff's men have missed a crucial piece of evidence. A simple revelation coiled up right under their noses, waiting for lightning to strike. Thrust into a wicked paranormal realm, Toni races against the clock, immersed in the shadowed mysteries of the occult, where her only hope of survival rests with the ghost of a long-dead witch. 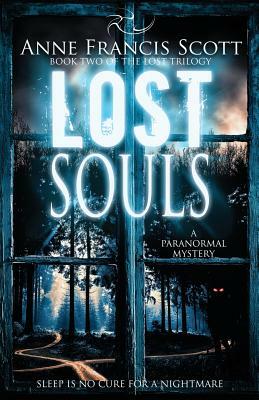 Lost Souls by Anne Francis Scott is a paranormal mystery at the fringe of horror, guaranteed to keep you reading with the lights on.